While looking through some of the maxis packages trying to figure out what I want to do for my next meshing project, I ran across 3 womrat textures that weren't included in the game. I made them into recolor packages for your enjoyment. I can't take any credit for these other than turning them into recolor packages. 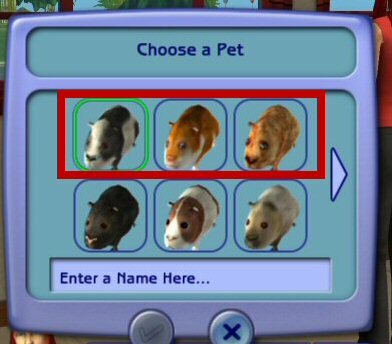 Requires the Sims 2 Pets Expansion. New recolors are the top ones outlined in red in the photo. Please do not clone, modify, recolor or upload to any sites (free or pay) without my permission. Thanks goes to SimPe, CEP and Maxis. 1216 people have said thanks to ly_drago for this download.